The Master Swamp - Real life, on purpose. on the whole it was not exactly a room we wanted to hang out in. 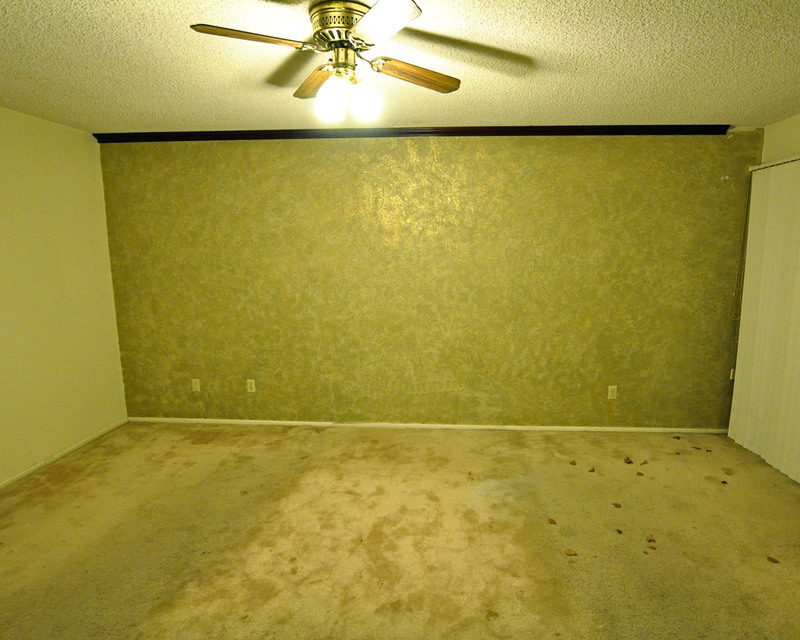 This is exactly what the room looked like the day we moved in, dead leaves on the carpet and everything. previous occupants had a large dog. And that the dog slept in this room. as an evil village bruja saying, “Welcome to your nightmare! Because seriously. What is happening in this room? 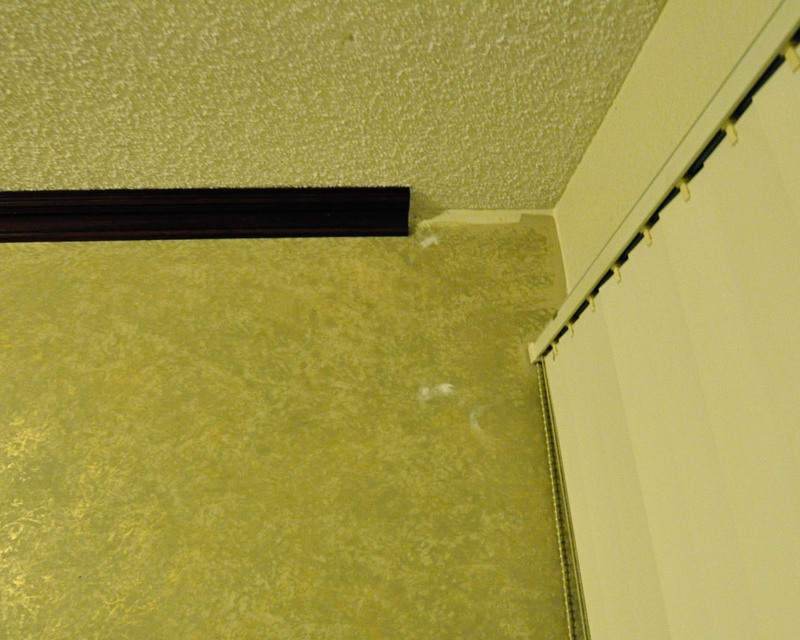 crown molding that stops mere inches from the adjacent wall. 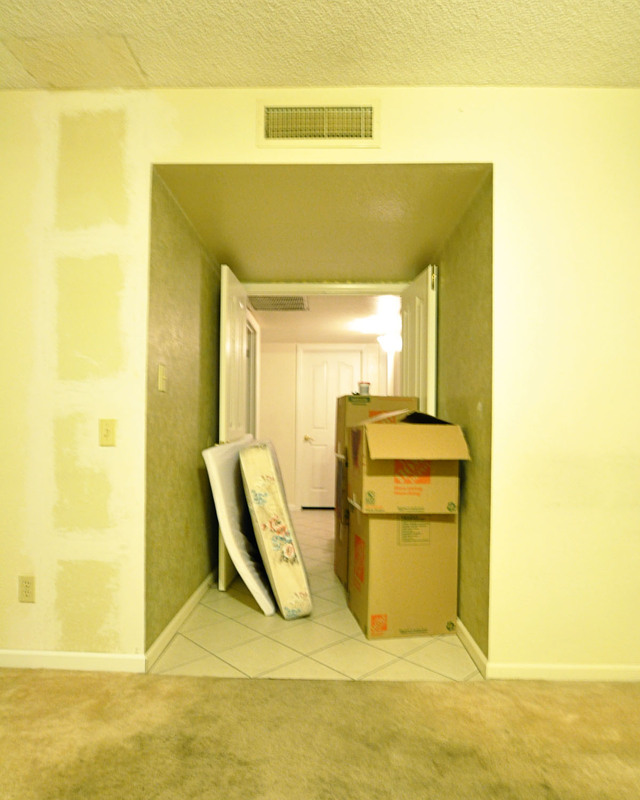 By the way, the gold and green mess is repeated on the entryway walls too. In case you were wondering. 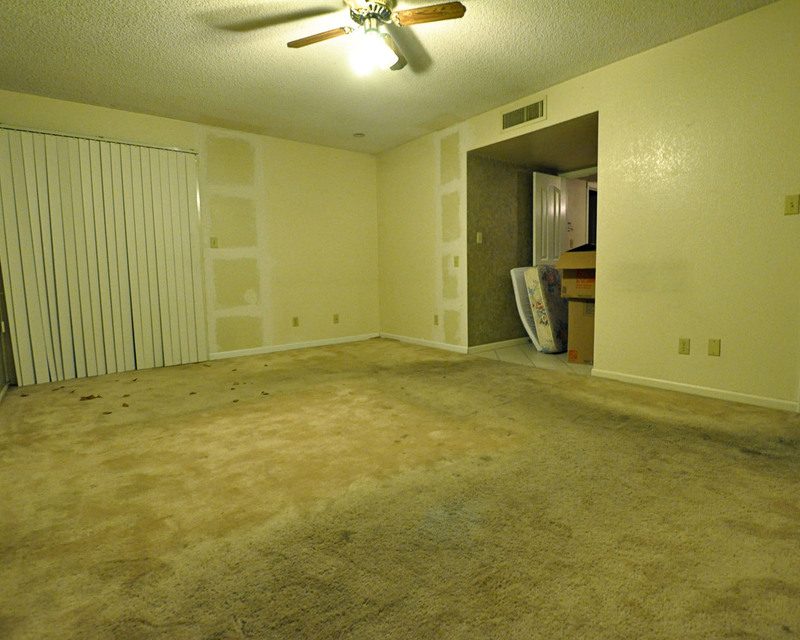 Also, these people had put in–and upon moving out, taken with them–a TON of built-ins. 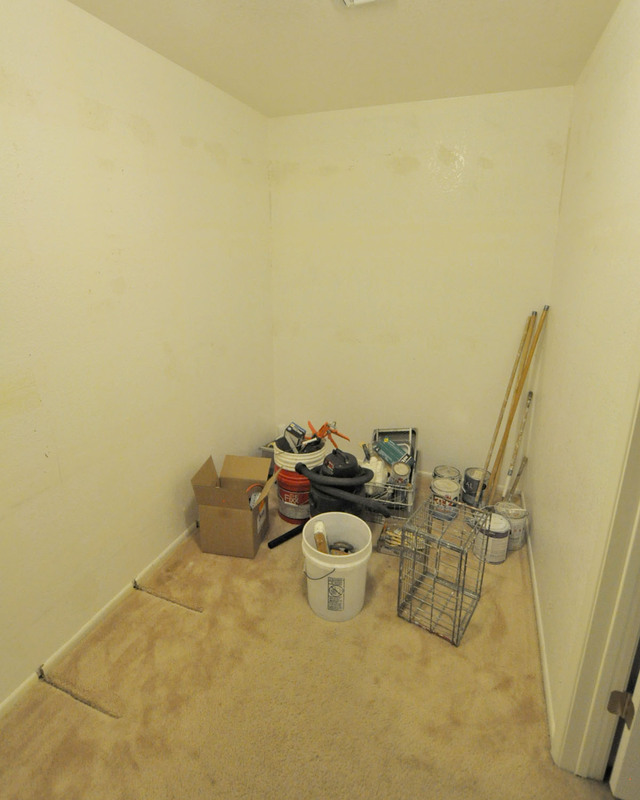 For example, the closet was in decent shape. It just didn’t have anything in it. Not even a closet rod to hang things from. Nothing. They gutted the place. And that is why we’ve been sleeping in the garden of bloody baby hands. The alternative was just more than I could handle. 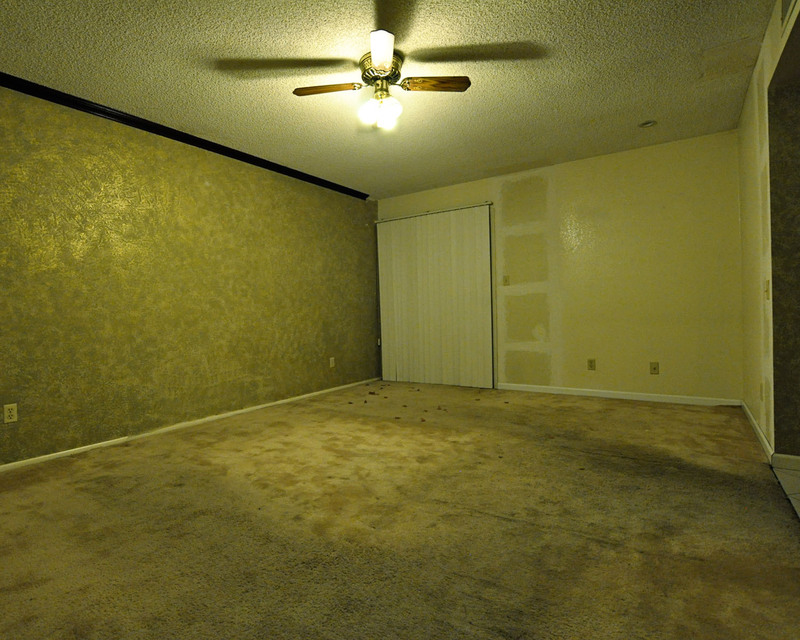 hideous walls and started tearing into this room with righteous fury. looks better all torn apart. I am excited to see what you have done! If I think about the crown molding for a even a minute I laugh out loud. I just don't get it. And I can't believe they took the built-ins. Do you still get a discount at the container store? Haha. Oh, don't I wish. It's tempting to apply for a seasonal position there just to get a discount around Christmas. Taking all the built in bookshelves and closet rods? Weird. Maybe it will be fun for you to just start with a fresh palette and create new closet and shelf designs. 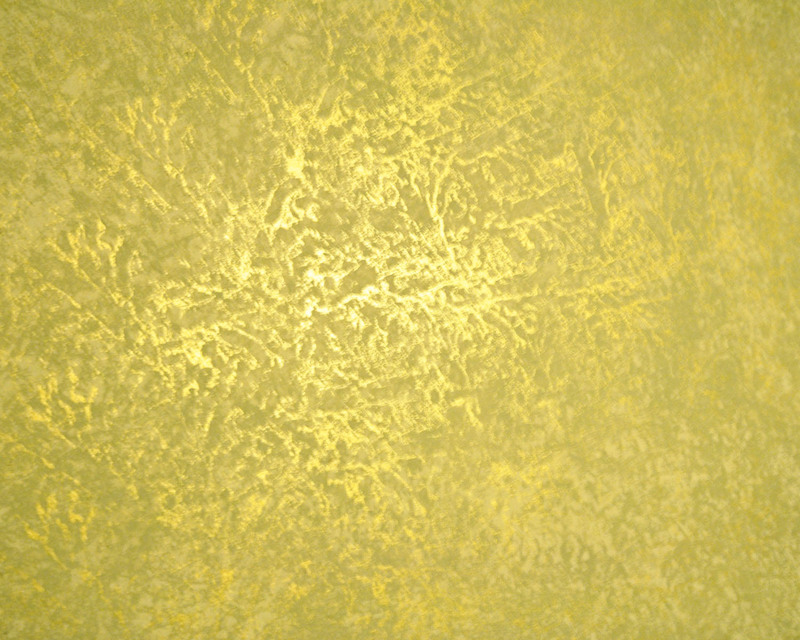 We had metallic gold and olive green wallpaper in our entryway in our house in Winslow all the years I lived there (ask your mom, she probably remembers). It was very modern at the time. 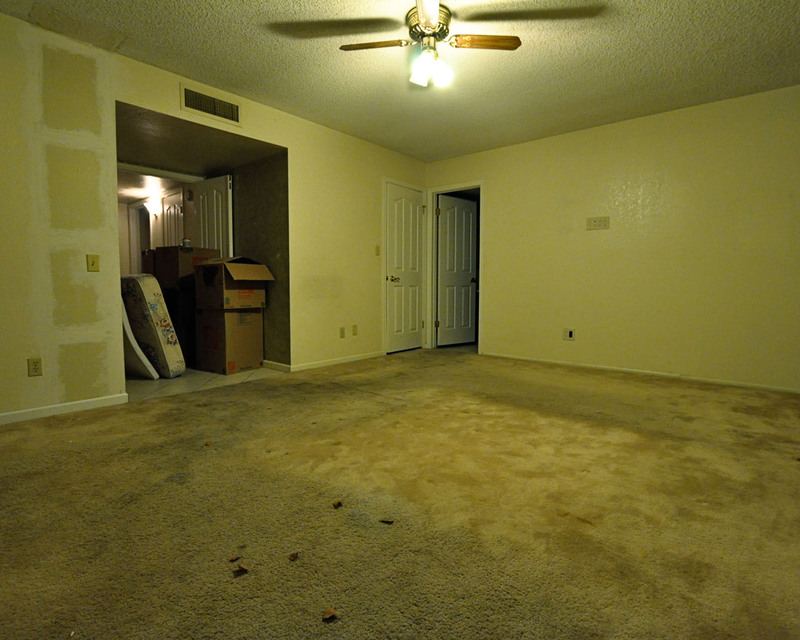 It seemed weird to go into the house years later and it was gone – painted a regular, non-metalic color. We are definitely enjoying starting from scratch, even if it is a lot more work. And your old wallpaper sounds fantastic. Such fond memories. Both of your NEW home and Cynthia's old one. 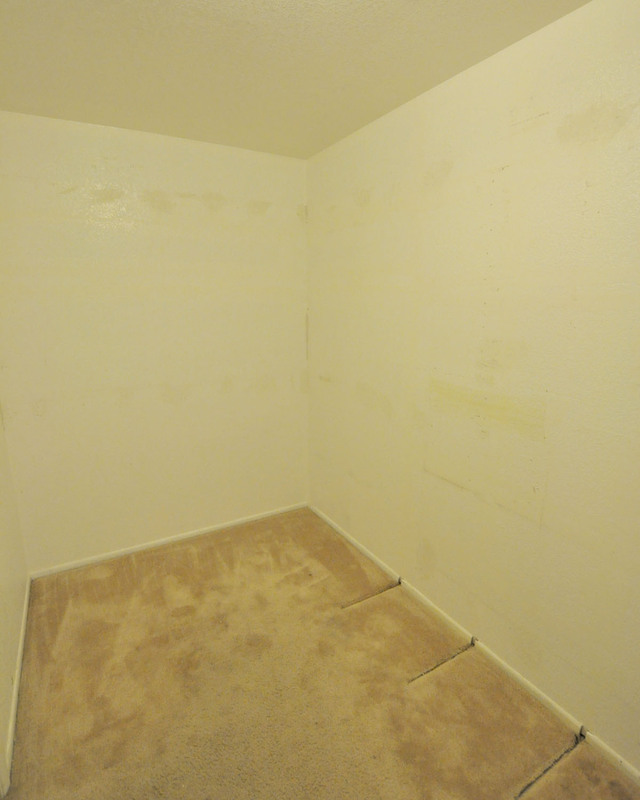 The tile goes through the entire house, excluding bedrooms. It was easier to leave it in the weird little entry than to pry it up and replace it. Makes the room feel extra posh, doesn't it?